In a star-studded success party for Teefa In Trouble last night, Ali Zafar shared his next step in the venture, much to his fans’ delight. That’s right, the actor announced a sequel to the movie, which managed to cross the 50 crore mark recently. Zafar started off with thanking his wife, and then the film’s director for their contribution to the film’s success. “It required a lot of courage, and that courage comes from my wife, after my mother. The love of my life, Ayesha Fazli. All the challenges that came my way, she was the strength behind me,” he said. “The second important person after her [is Ahsan Rahim].You can say he’s my mentor and my dear old friend. If it weren’t for him, Teefa In Trouble would’ve never been made,”he added. He further mentioned how Rahim helped him kickstart his career, and then going on to announce how they are all geared up for a Teefa In Trouble sequel now. “Channo, my first video, would’ve not been made [without him]. He launched my career by directing that video, when I had no money and I went to everybody with that song, and he was the only guy who came and stepped forward and said he’ll do it. And this is just the beginning, and we will be making Teefa In Trouble 2!” he said. Moving on, the actor also thanked all the people in the cast and crew. Faisal Qureshi and Humayun Saeed were part of the event as well, who both received honorary mentions from Zafar. Saeed, whose film Jawani Phir Nahi Ani 2 managed to earn more than Teefa In Trouble, was all appreciative of Zafar, and lauded the film’s success. “It exceeded my expectations. 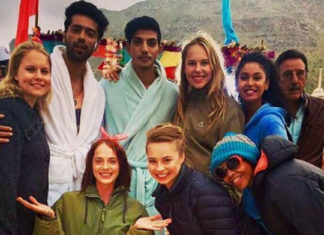 It was a brilliant film overall,” he said, while mentioning how he always encouraged Zafar to indulge in acting when he started off with music. Returning the sweet gesture, Zafar also mentioned how Saeed had always been extremely supportive, while calling him one of the humblest stars in the industry. 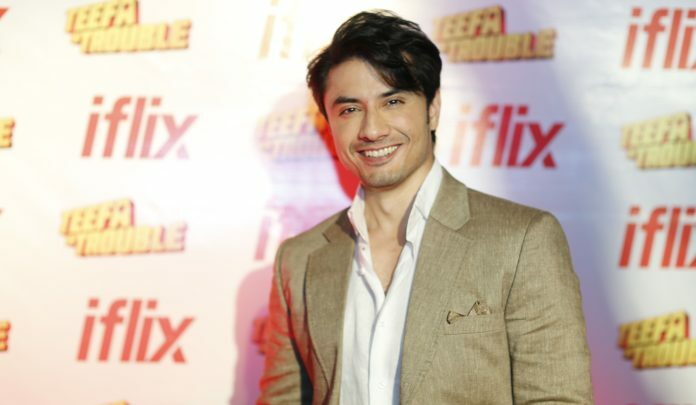 On an ending note, the actor also thanked Iflix, while encouraging the platform to work with more emerging talent in Pakistan.